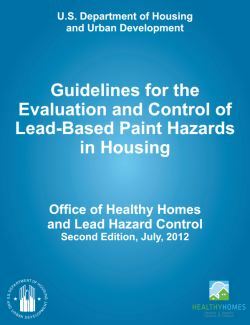 The Guidelines for the Evaluation and Control of Lead-Based Paint Hazards in Housing support HUD’s vision to reduce hazards in housing in a cost-effective manner while protecting the health of children. TheGuidelines apply to lead hazard evaluation and control in all federally associated housing. This second edition of the Guidelines replaces the 1995 edition, with its lead-based paint inspection chapter revised in 1997. These Guidelines can be used by those who are required to identify and control lead paint hazards, as well as property owners, landlords, and child-care center operators. They offer helpful advice on renovations in older housing, lead-based paint inspections and risk assessments, and where to go for help. The Guidelines also outline what users have to do to meet requirements and recommendations; identify training – and if applicable, certification – required for people who conduct the work; and describe how the work should be done. 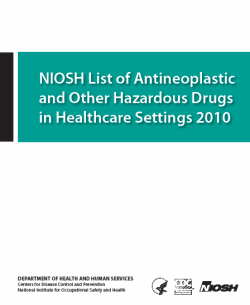 The Guidelines complement regulations that have been issued by HUD, the U.S. Environmental Protection Agency (EPA), and the Occupational Safety and Health Administration (OSHA), and policies from the Centers for Disease Control and Prevention (CDC). While compliance with the Guidelines is not required by law, a Federal, State, or local statute, regulation, legal agreement or other document may require that the Guidelines, or certain parts, be followed. You can find the courses and modules on the Washington State Department of Labor & Industries website. OHShub.com: When did you decide to take the CIH exam? Examinee: I decided in 2003 to make it a goal of mine to obtain the CIH certification. OHShub.com: When did you obtain certification? Examinee: I actually obtained certification in May 2010. OHShub.com: What is your current career field and how do you feel it prepared you? Examinee: Currently I am in the consulting field. I feel that it (i.e. being a consultant) prepared me by having the ability to complete a multitude of traditional IH projects. The great thing about being a consultant is that there is always something new and fresh in meeting the needs of the client, which exposes you to a variety of the traditional “IH rubrics”. OHShub.com: How long had you been in the IH/Safety career field when you sat for the CIH exam? Examinee: Less than 10 years. I believe it was actually 9 years. While you can take the test after 5 years, I have always personally regarded the CIH designation highly. 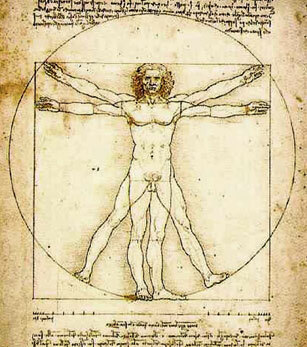 I felt that it was important and wanted to have a certain “skillset” prior to sitting for the exam. OHShub.com: Are you saying that you did not just want to have a “certification” but wanted to be able to exemplify the characteristics of most CIH’s in the field? Examinee: Exactly. That is precisely my thoughts and feelings. OHShub.com: What was/is your work/career-life like? Examinee: I consider myself very fortunate to have a very well qualified mentor (who is a CIH) and excellent IH support staff around me. Personally, I feel that it would have been much more difficult to obtain such a high level IH skillset without those continuing resources. OHShub.com: Personally, how many hours do you think you studied in preparation for the CIH exam? 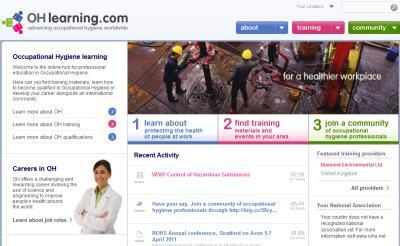 The Occupational Hygiene Training Association (OHTA), has created a new website, www.OHLearning.com, where free course materials for international occupational hygiene training modules are posted. Find training materials, learn about occupational hygiene, or develop your existing skillset. OHTA was formed to promote better standards of occupational hygiene practice throughout the world. We develop training materials and make them freely available for use by students and training providers. We also promote an international qualifications framework so that all hygienists are trained to a consistent, high standard, recognized in all participating countries. The method of defining and determining odor thresholds varies widely, thereby giving rise to a significant range of reported odor thresholds for many substances. Individuals may also respond differently to the same odor. At a given concentration, one person may smell and recognize the odor, while another person may barely notice it. 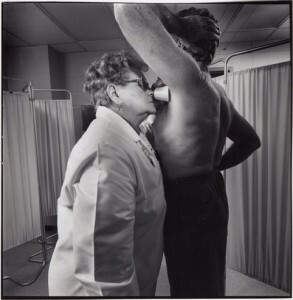 The odor thresholds reported in the literature are typically determined for a single constituent, with no other chemicals present in the air. The single constituent situation rarely occurs in the workplace. Therefore, caution must be exercised in using these numbers. 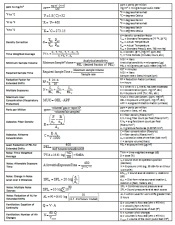 Referenced OELs are based upon ACGIH’s TLVs, except where noted in the chart. 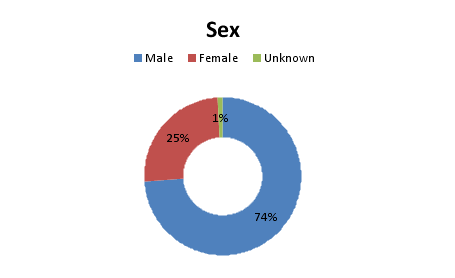 Of the 297 respondents, nearly three quarters were male. 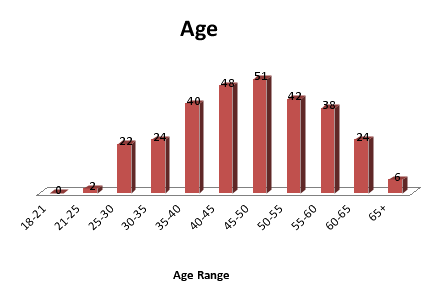 Age followed a typical bell curve with the majority of respondents being between 35-60 years of age. The Canadian Occupational Safety webzine recently published an article regarding the types of returns companies can expect from early ergonomic intervention. The purpose of the article was to “to show the business case for using ergonomic and accessible design early in the design/build, move, renovation and/or purchase phase” and their numbers sound convincing. Jane Sleeth, managing director and consultant with Optimal Performance Consultants, stated that the cases they have worked on have shown significant ROI when sound ergonomic principles are used in the early stages of workplace/work-process design. Over the last 20 years, we found that businesses that use ergonomics and human factors at the initial phase of purchasing, design, move and/or build projects save anywhere from 15 percent to as high as 700 percent in follow up consulting fees, modifications and retrofits, as well as additional capital purchase costs. To view the article, visit the COS website HERE. Most respondents expected to see an increase in work related stress. 50% have 25+ years of experience. 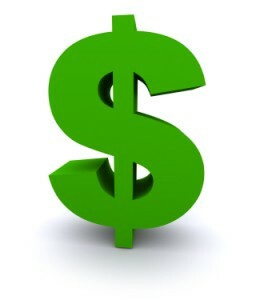 Further information will be provided in OHShub.com’s 2010 Occupational Health & Safety Salary Survey. Stay tuned for the results. Survey is now closed. Results to be posted soon. This officially unofficial survey (18 quick questions) will provide compensation information gathered from survey information received voluntarily from individuals holding the CIH certification, as well as those with the CSP, CHMM certifications and/or the designation of ASP. Additionally, we invite practicing health and safety professionals (including EHS practitioners) who do not have one of the aforementioned certifications/designations (or have a different certification/designation) to contribute to the survey. The larger and more relevant the survey population, the better the survey results! Upon completion of the survey period, OHShub will compile the data and post the results and related statistics on our website. All entries are anonymous and no identifying data will be stored. While we do not guarantee the accuracy of the survey results, we ask that all contributors answer the questions as complete and accurate as possible. For questions or comments, please contact us. 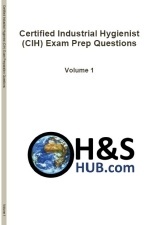 The latest CIH exam prep questions have been posted to OHShub.com. You can find these 30 questions covering a wide range of IH topics HERE. Also, don’t forget to check out OHShub.com’s newest publications to assist you in your CIH exam prep and/or in your practice of industrial hygiene. You can find the shop at ohshub.com/shop or by clicking HERE.